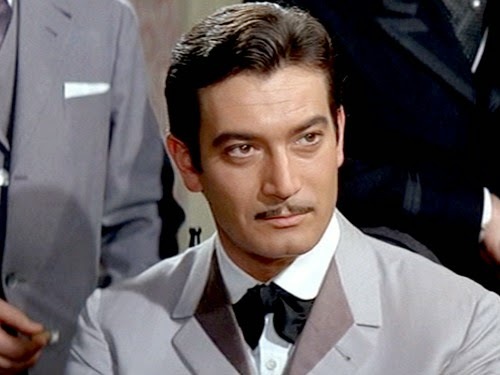 I’m an Italian actor born in 1935. I’ve appeared in over 110 films and TV appearances. Bill Connolly corectly named Gianni Garko as this week's photo. Theatre director Don Albino Moncalieri and his only employee Guido Guidi are in desperate need of money. They comply immediately when they are hired by a certain Peppino Garibaldi, who seems to be a relative of famous Giuseppe Garibaldi. On tour throughout Mexico they get by accident entangled in revolutionary activities and experience the fog of war. Robert Woods, appears in a new film: "Novel Calabrese", a film shot in Calabria! My first artistic endeavors were… I played trumpet and valve trombone in bands when I was a teen ager. I sang in a quartet in the Navy and another while attending University. I also sang in night clubs to augment my University tuition. I originally wanted to be a secondary school teacher and I studied in the little theater on campus, because it was quiet. They had readings for a play (Victoria Regina) and by accident, (because I just happened to be there) I was called upon to read for the male lead in it and was accepted. Not long after the play, which was a success, I changed my major to Speech Arts, with a music minor…Because I was suddenly accepted as an actor, my professor insisted that I was going to be a film actor and upon graduation, he sent me to Hollywood to give it a try. 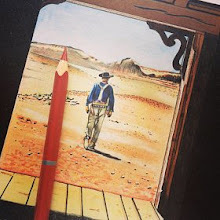 It is a modern Western about Monument Valley, The Grand Canyon and the protection of the surrounding, precious environment… You asked what drives me? It is the continued interest from fans and continued offers from production companies… plus I truly and passionately enjoy the work…. Otherwise, I would probably happily retire… As far as the youngsters who are just beginning is concerned… It is best to work in your little theater and devise ways to get yourself out there in every way you can, to be seen by those with the ability to hire you… It is a more competitive business in every way than it was when I began… so if this is truly what you want… I believe the only way to achieve it is to stick to it!!! Carl Lange was born on October 30, 1909 in Flensburg, Schleswig-Holstein, Baden-Württemberg, Stuttgart, Germany. Lang was an incisive character actor who began in the film industry as a set painter and first appeared on stage in 1925. After an extensive theatrical career, he entered films late, at the age of 45. 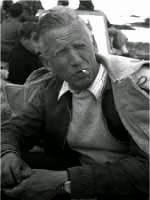 With his crew-cut, straight-backed military bearing and clipped speech, he was invariably cast as soldiers and gave particularly memorable performances as the head of the Gall dynasty in “Heritage of Bjorndal” (1960) and (as Colonel Munro) in Euro-western “The Last Tomahawk” (1965). Carl appeared in four Euro-westerns: besides the “The Last Tomahawk (1965), he appeared as the Governor of New Mexico in “The Desperado Trail” (1965), as a pastor in “Duel at Sundown” (1966) and as Nicholas Morse in “Cry of the Black Wolves” (1972). Lange died on June 23, 1999 in Ostfildern, Baden Württemberg, Germany. He was 89. Today we remember Carl Lange on what would have been his 105th birthday. During the rehearsal of a new western show a major star Presley, a popular and famous actor from Prague, breaks his right hand. He quickly discovers that throwing a tomahawk at full speed is not as much fun as it looks on television. The same goes for the rest of the cast after endless rehearsals. A comedy of conflicts and confrontations of life are peppered with neighboring wars, stealing goats, concrete stages and the pregnant daughter of the undertaker all complicate the opening of the season’s opening play. Mirella started her career on the big screen in “Le stagioni del nostro amore” (1965) by Florestan Vancini and, as was often the case for graduates CSC until 1975, she had small but numerous appearances in the five years following her graduation, in many different roles. She appeared in such films as “Medea” (1969) by Pier Paolo Pasolini, but most of her filmography consists of film of medium budgets, belonging to the genres of Euro-westerns and musicals, and several appearances with Franco Franchi and Ciccio Ingrassia. 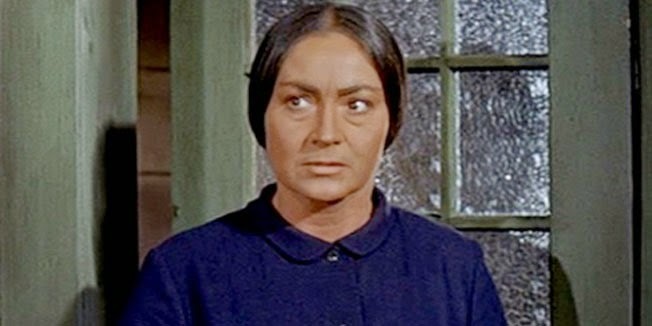 Mirella appeared in over two dozen Euro-westerns in small supporting, character and even cameo appearances from “Deguello” (1965) billed as May Pompili to “Shango” (1970) as Marisol. She probably has more Euro-western appearances than any other actress of the genre. 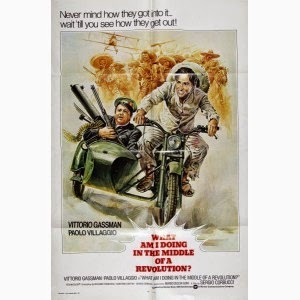 Her last appearance on the big screen was in “La guerra sul fronte Est” (1981) by Tanio Boccia. Today we celebrate Mirella Pamphilli’s 75th birthday. Akim Mikhailovich Tamiroff was born on October 29, 1899 in Tiflis, Russian Empire. Of Armenian ancestry, Tamiroff trained at the Moscow Art Theatre drama school. He arrived in the U.S. in 1923 on a tour with a troupe of actors and decided to stay. Tamiroff managed to develop a career in Hollywood despite his thick Russian accent. Tamiroff's film debut came in 1932 in an uncredited role in “Okay, America!”. He performed in several more uncredited roles until 1935, when he co-starred in “The Lives of a Bengal Lancer”. The following year, he was cast in the title role in “The General Died at Dawn”, for which he was nominated for the Academy Award for Best Supporting Actor. He appeared in the 1937 musical “High, Wide, and Handsome” and the 1938 proto-noir “Dangerous to Know” opposite Anna May Wong, frequently singled out as his best role. 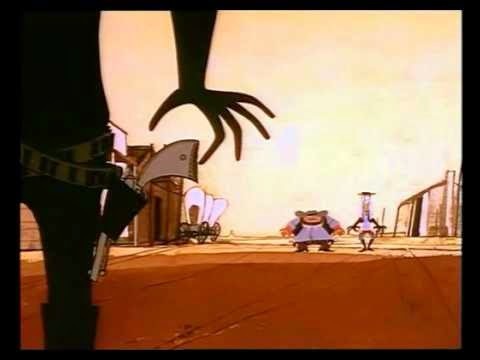 While Tamiroff may not be a household name now, his performance as the boss in “The Great McGinty” inspired the cartoon character Boris Badenov, the male half of the villainous husband-and-wife team Boris and Natasha on ‘The Rocky and Bullwinkle Show’. He was also spoofed in a 1969 episode of the TV show ‘H.R. Pufnstuf’ entitled "The Stand-in" in which a frog named "Akim Toadanoff" directs a movie on Living Island. 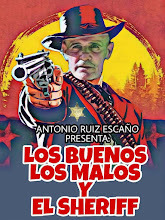 Akim appeared in two Euro-westerns: “A Man Called Amen” (1968) as Puzza/Pig Sty/Phantom/Dean Light, and “100 Rifles” (1969) as General Romero but his scenes were deleted. Tamiroff died on September 17, 1972 in Palm Springs, California from cancer. Today we remember Akim Tamiroff on what would have been his 115th birthday. RIP Daniel Boulanger. French novelist, playwright, screenwriter and actor Daniel Boulanger died last night October 27th in France. He was 92. 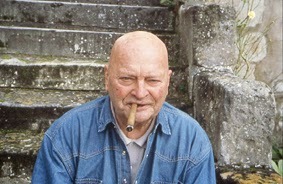 Boulanger was a co-screenwriter on the 1971 Euro-western The Legend of Frenchie King with Brigitee Bardot and Claudia Cardinale. Uwe Bohm was born Uwe Enkelmann in Wilhelmsburg, Hamburg, West Germany on January 23, 1962. He is the adopted son of director, actor Hark Bohm [1939- ] and the nephew of actor Marquard Bohm [1941-2006]. 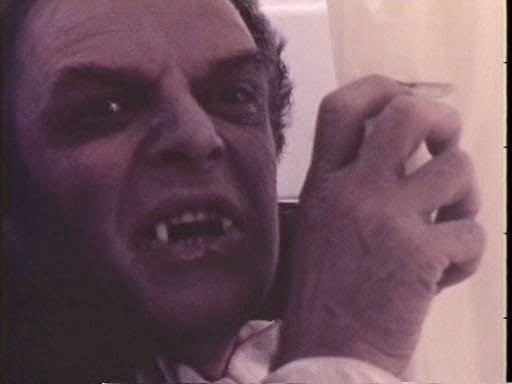 Although little has been written about Uwe he’s appeared in over 70 films and television shows since 1976. 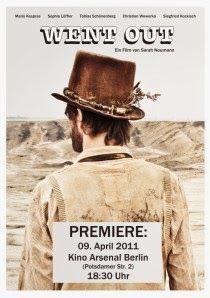 He starred in the 1990 film “Herzlich willkommen”, which was entered into the 40th Berlin International Film Festival. Bohm has become a respected stage actor, performing at the most important theaters in the German speaking countries such as the Vienna Burgtheater or the Berliner Ensemble. Recently he appeared in his first Euro-western “Gold” (2013) as Gustav Miller. 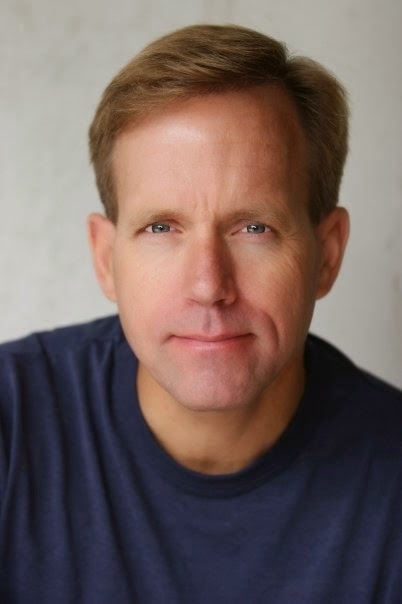 BOHM, Uwe (Uwe Enkelmann) [1/23/1962, Wilhelmsburg, Hamburg, West Germany - ] – stage, TV actor, adopted son of director, actor Hark Bohm [1939- ], nephew of actor Marquard Bohm [1941-2006], cousin of actress Lilli Bohm, actor David Bohm. 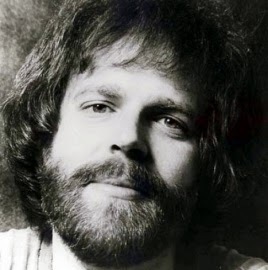 Gerald Francis ‘Jerry’ Harvey was born on October 28, 1949 in Bakersfield, California. 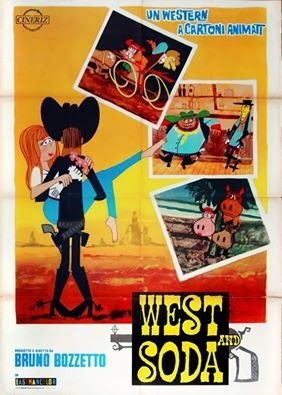 A graduate of the University of California, Los Angeles (UCLA), Harvey first established himself within the film community by programming the director's cut of Sam Peckinpah's “The Wild Bunch” at the Beverly Canon Theater in 1974. Peckinpah himself was in attendance. The film played that day to a sellout crowd. He brought his relationships with the screen world to bear on his work at Z Channel, where he became director of programming in 1981. 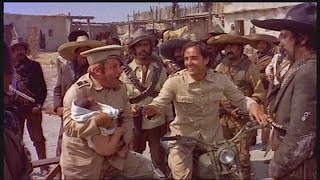 The films whose director's cuts Harvey championed, using Z's as a showcase, include: Michael Cimino's “Heaven's Gate”, “The Ruling Class” with Peter O'Toole, Sergio Leone's “Once Upon a Time in America”, Karel Reisz's “The Loves of Isadora”, John Ford's “Up the River”, Bernardo Bertolucci's “1900”, and Sam Peckinpah's “The Wild Bunch” and “Pat Garrett & Billy the Kid”. The Z Channel was eventually sold to a company that tried to combine films with sports programming. This did not sit well with Harvey who protested against this change and struggled to find his path away from the Z Channel. As more and more pressure mounted on Harvey, he seemed unable to cope on April 9, 1988, he shot his wife Deri to death with a gun given to him by Peckinpah. He then used the gun to kill himself. Jerry’s only foray into screenwriting was for the Euro-western “China 9, Liberty 37” (1978). Today we remember Jerry Harvey on what would have been his 65th birthday. We finish our search for film locations for “Texas Adios” (aka The Avenger). 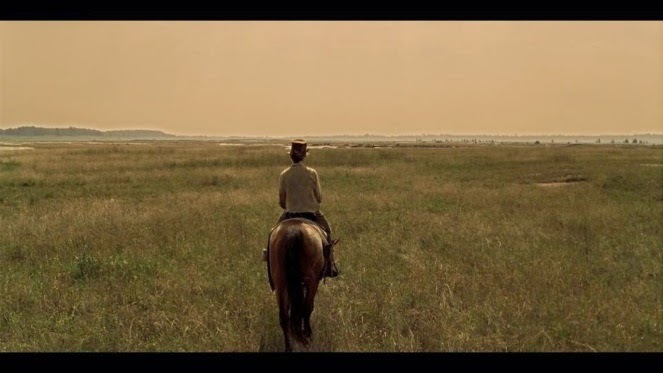 With Delgado dead Burt is seen during the closing credits heading back to Texas pulling a horse loaded with Jim’s body draped over the saddle. Little is left of the sand dunes called Dunas de las Amoladeras which are located in Cabo de Gata. I started writing reviews when I was very young, still at school. 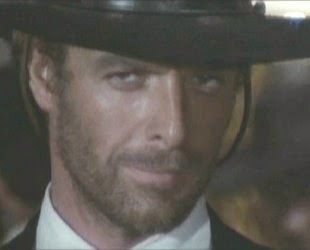 I first heard of Sergio Leone when I saw A Fistful of Dollars. I saw that it was a great film, but for other critics it was nothing. They don't understand Sergio in Italy; they didn't like him. They started to understand him much later, with his last film - but that was too late. In other countries they got him - the French did - but Italian critics think the French are crazy. I was a small voice, but he heard me, and we wrote to each other a few times. In 1967, I was writing film reviews for Paesa Sera, a very leftwing newspaper. Then he wanted me to write his film Once Upon a Time in the West. This was incredible. I had not written a screenplay before, but Leone was very smart and would always try new things. He wanted to add a young spirit, which was something I have done, too - on my first film, The Bird With the Crystal Plumage, I used Vittorio Storaro. It was the first time he had done anything so difficult. I started work on the screenplay at home, with Bernardo Bertolucci. We began with nothing except an idea of Sergio's: he wanted to have a woman as lead for the first time. I would write on my own, then Bernardo would write on his own, then we would write together. Once a week Sergio would come to see how we were getting on, and offer his thoughts. He was incredible at generating ideas. He made me realise the director should always be involved in some way with the screenwriting. Sergio would discuss, not write. He would describe things very technically: first comes this shot, then the camera goes up, then moves in, and so on. Movies are not two people talking - that is theatre. The movie is the camera. Sergio could judge a script in two minutes: he would flip through it and if he saw lots of dialogue it was no good; if it had lot of descriptions then it was interesting. That is something I learned from him. I saw the film at a cinema, with an ordinary audience - which is how films should always be seen. It was recognisable from our treatment, but Sergio had added something wonderful. I continued to write for films, and a couple of years later I wrote The Bird With the Crystal Plumage. I hadn't planned to direct it, but then I thought, "Well, maybe I could." I remember meeting Bernardo at his house. He had just finished writing The Conformist. I had my script with me; he read mine and I read his; we both liked each other's and wished each other luck. 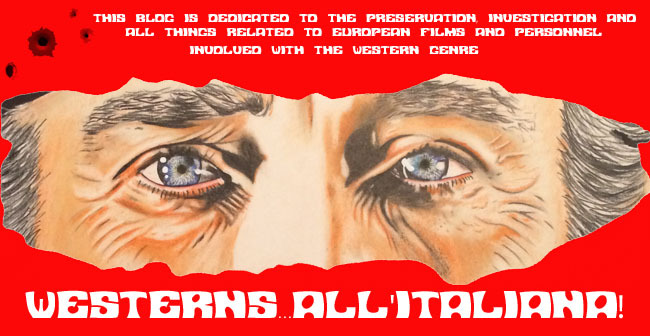 When Once Upon a Time in the West came out in Italy, it was the same as A Fistful of Dollars: it meant nothing to the critics. I found that unbelievable. But the public loved it, they went crazy for it. Sergio had achieved greatness. This film was impossible to better: after this, the western was finished. It's such a nostalgic film, a very sad film. I love how slow it is. How enormous. It will be here forever. 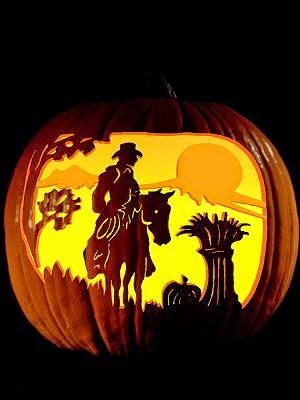 A stranger named Johnny arrives in a small western town. He finds a pretty woman named Clementine whose been holding out from selling her uniquely green land to the local town boss, who is harassing her in hopes of seducing her and buying her land. There's an ongoing mystery about how the stranger got a hold of the gold nugget he possesses, though at the end of the film it is revealed that he found it in a soap box and it turns out to be fake. Dieter Borsche was born Dieter Albert Eugen Rolloman on October 25, 1909 in Hannover, North Saxony, Germany. 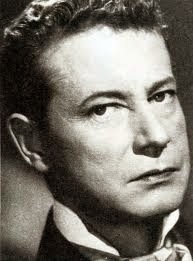 Borsceh was a prolific star of post-war German cinema, usually seen in virtuous or soulful roles. The son of a music teacher and an oratorio singer, Borsche was initially trained as a dancer, first performing in ballet for the Hanoverian Opera (1930-1935). After attending acting classes, he made his stage debut in Weimar, Germany. He also appeared in youthful romantic film roles from 1938. Borsche reached the peak of his popularity in film and television comedies and dramas of the 1950's and 1960's, though his career was increasingly hampered by his affliction with muscular dystrophy. 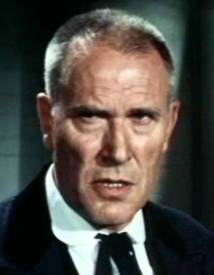 Borsche appeared in only one Euro-western playing Pastor Benson in 1964’s Massacre at Marble City”. Dieter died in Nuremburg, Bavaria, Germany on August 5, 1982. He was 73. Today we remember Dieter Borsche on what would have been his 105th birthday. Armand Henry Julien Thirard was born on October 25, 1989 in Mantes, Yvelines, Île de France, France. Thirard debuted as an actor. He then became manager of the silent film before starting to work as a cinematographer in 1926. He was best known for his work for illustrious directors Henri-Georges Clouzot and Julien Duvivier ans such films as “Diabolique” (1955), “The Wages of Fear” (1953) and “...And God Created Woman” (1956). 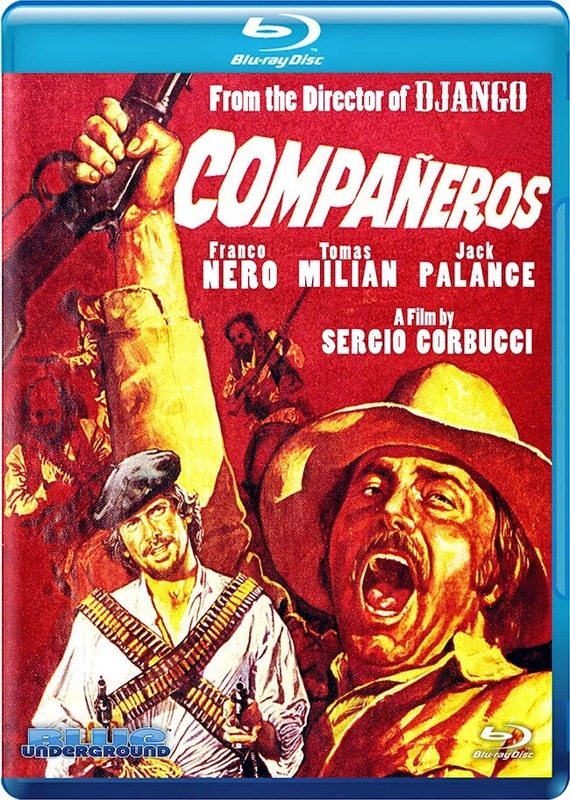 His only Euro-western was as cinematographer on 1967’s “Guns for San Sebastian”. Armand died on November 12, 1973 of cancer in Colombes, Hauts-de-Seine, Île-de-France, France. Today we remember Armand Thirard on what would have been his 115th birthday. Breccio correctly named Gerard Barray as this weeks photo. A legendary Yugoslavian stage actress Marija Crnobori, died on October 21 at the age of 96 in her apartment in Belgrade, Serbia. Crnobori was born on October 1, 1918 in Banjole, Istria, Austria-Hungary. She started her theatrical career after graduating from the academy in 1947. Later she moved to Budapest after marrying her husband, theatrical director Markom Fotezom [1915-1976]. There she would become a stage legend continuing to appear until the early 1990s. She then retired and wrote a book ‘The World of Acting”. In 2008 she received a Lifetime Achievement award for her work in the theater and in 2013 she was awarded Order of Sretenjski III. 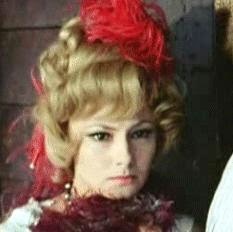 Marija appeared in two Euro-westerns: “Thunder at the Border (1966) and “The Halfbreed” (1966). 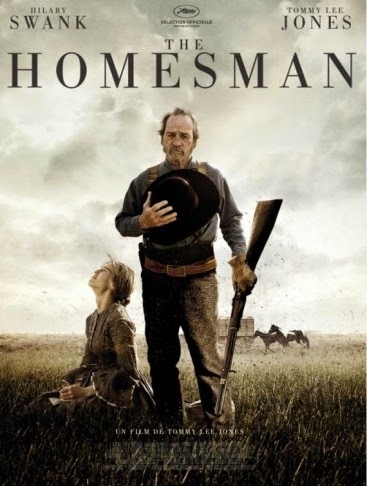 At this point you would be forgiven for believing the western genre had run out of fresh material, but Tommy Lee Jones' second directorial effort, adapted from a novel by author Glendon Swarthout, features a plot element I don't believe we've seen before. Hundreds of frontier dramas have featured the westward journey of pioneers as they attempt to stake out a new life in America's final frontier; The Homesman turns this idea around, with a storyline that instead features a wagon headed eastward. Far from a promised land of riches and comfort, the west as seen in Jones' film is, to put it mildly, a hellhole. 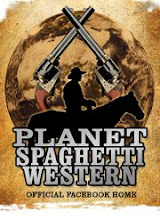 Here, there really are a million ways to die in the west. Swank is Mary Bee Cuddy, a prim and proper, yet battle hardened, landowner who has managed to stake a claim for herself in the Nebraskan frontier, but pines for a husband. In the opening scene she proposes to a neighbor who, despite being far from a catch himself, rebukes her, dismissing Cuddy as too bossy and plain for his liking. With no ties, Cuddy finds herself the only one willing to take on the task of transporting three insane women to a Methodist church in far-off Iowa. All three of the women who make up Cuddy's cargo are victims of the harsh west, driven insane by a combination of abusive spouses and their inability to cope with the untameable nature of their surroundings. Driving them in a wagon across such treacherous terrain is a daunting task for Cuddy, but then she has the dubious fortune of coming across George Briggs, an outlaw left to hang by vigilantes for the crime of trespassing. Briggs is initially reluctant to accompany Cuddy, but the promise of $300 at the end of the line is too much for him to turn down. Though it's set in the sun blistered American West, there's a Nordic bleakness to The Homesman, as nihilistic a film as we've seen in many a year. Infanticide, suicide and sexual abuse feature heavily, and the killing of a newborn child is without question the most shocking moment of 2014. 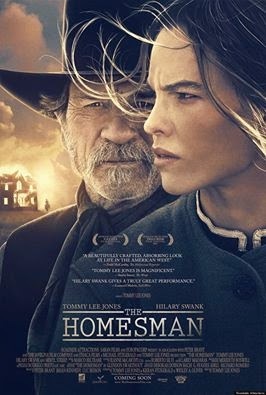 There are some laughs provided by the relatively happy go lucky George Briggs, but The Homesman makes the most rugged spaghetti western look like Blazing Saddles in comparison. Jones proves a natural fit for this material, both as actor and director, and Swank seems born to play the strong on the outside, dying on the inside Cuddy. Rodrigo Prieto's cinematography will have you gasping for water as it captures the harshness of the arid terrain, and Marco Beltrami provides one of the year's best scores. Western fans will find The Homesman an intriguing addition to the genre, but it may prove a tad sombre for mainstream viewers. 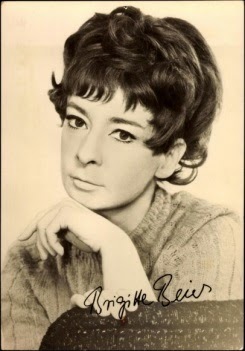 Brigitte Beier was born on October 24, 1939 in Berlin, Berlin, Germany. Beier is the daughter of the press cartoonist and caricaturist Alfred Beier-Red . She was usually seen in crime films and in several episodes of ‘Police 110’ TV series. Her film debut was in 1964 in the DEFA drama film directed by Heiner Carow's “Die Hochzeit von Länneken”. In this screen adaptation from the novel by Herbert Nachbar she played the daughter of a fisherman Bärbel Pröpping that works with her ​​great love, the young fisherman's son Henning Grabe, for an equitable distribution of fishing grounds among all fishermen. In 1971 she played under the direction of Claus Dobberke the role of Maria Ritter in the political drama “Verspielte Heimat”. 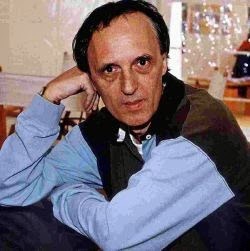 The director Kurt Jung-Alsen contracted Beier 1971/1972 for the role of the Jew Recha Fain in the Holocaust Miniseries “Die Bilder des Zeugen Schattmann”, a film based on the autobiography of the writer and graphic artist Peter Noble. She was seen until the 1980s in many feature films. These included: “The Legend of Paul and Paula”, the children's film “Moritz in der Litfaßsäule”, and the family films “Das Schulgespenst” and “Der Streit um des Esels Schatten”. In the series “Spuk unterm Riesenrad” and “Drei von der K” she also played a role. In 1981 she made her only Euro-western with a role in “The Long Ride to School”. Today we celebrate Brigitte Beier’s 75th birthday. 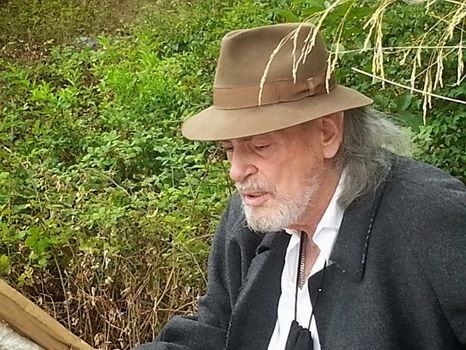 Lubomír Bryg was born on October 24, 1934 in Prosimerice, Czechoslovakia. Bryg’s film career began with an appearance in the 1955 film “Něco se tu změnilo”. He would go on to appear in over 40 film with his last film appearance being in 1989’s “Království za kytaru”. 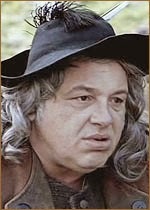 He was an known for “Melouch” (1963), “Muz mnoha tvárí” (1958) and his only Euro-western “Lemonade Joe” (1964) playing the role of the cashier. 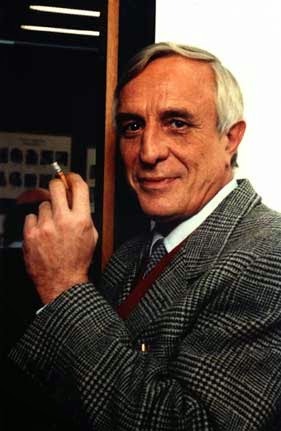 Lubomír died on September 19, 1994 in Prague, Czech Republic. Today we remember Lubomír Bryg on what would have been his 80th birthday. Veteran stuntman and stunt coordinator Kim Robert Koscki passed away on October 9 due to a non-work-related motorcycle accident. He was 50. Koscki was born September 13, 1964 in Chico, California. He started his stunt career in 1985 and most recently was a stuntman in the just released Euro-western “The Homesman” starring Tommy Lee Jones. Alias visits his father which turns out to be himself and he sees his troubled life in flashbacks as he moves through his former home. Walter Maestosi was born on October 23, 1934 in Rome, Lazio, Italy. Walter graduated in 1960 with a law degree he then attended the National Academy of Dramatic Arts named after Silvio d'Amico. 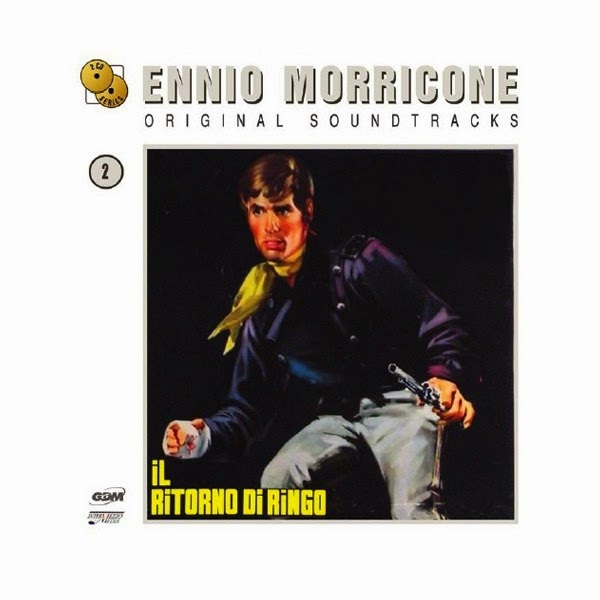 He went on to work in the theater with well-known directors, including Silverio Blasi, Guido Salvini, Orazio Costa, Edmo Fenoglio, Mario Landi and Antonio Calenda. He was particularly active in the reading of prose on radio, participating for Radio Rai in a thousand productions in radio dramas, comedies and cultural programs of various kinds. He has taught the recital of poetery in Italy and abroad. As a television actor Maestosi starred in television dramas and comedies and transmitted theater plays. In film he’s appeared in mostly B-movies including the Euro-westerns: “In a Colt’s Shadow” and “Ringo’s Big Night” as Broken Arm/John Down, Federal Officer John Crowl both in 1965. 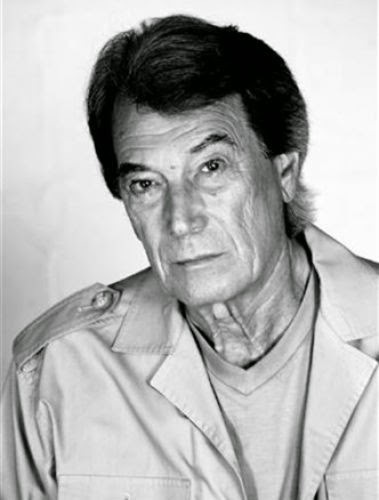 Still active today in the film industry today we celebrate Walter Maestosi’s 80th birthday. Here’s a 2009 commercial for Bancaja. 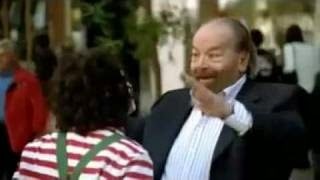 The commercial is an excellent combination of nostalgia, humor and intelligence demonstrating in an allegorical way how when problems occur with the ATM dispensers what can happen when someone loses their patience. 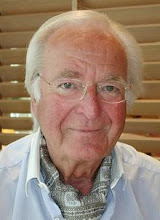 Arnim Mühlstädt was born on October 22, 1929 in Dresden, Saxony, Germany. Mühlstädt studied at the Hochschule für Musik und Theater in Dresden and then appeared at theaters in Dresden, Altenburg and Erfurt involved. 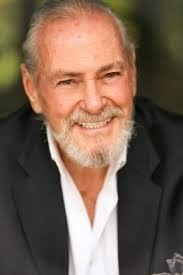 From the 1960s he began to appear also in films and television productions and was from 1970 was an established member of the DFF stock company. 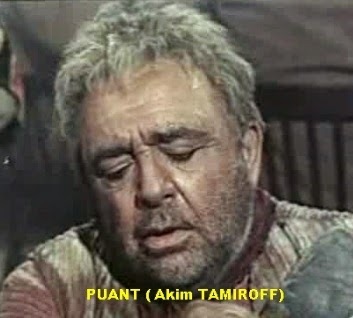 Arnim appeared in only one Euro-western, 1972’s “Tecumseh” playing the role of the doctor. Muhlstadt died on October 17, 2002 in Berlin, Germany. He was 73. Today we remember Arnim Muhlstadt on what would have been his 85th birthday.